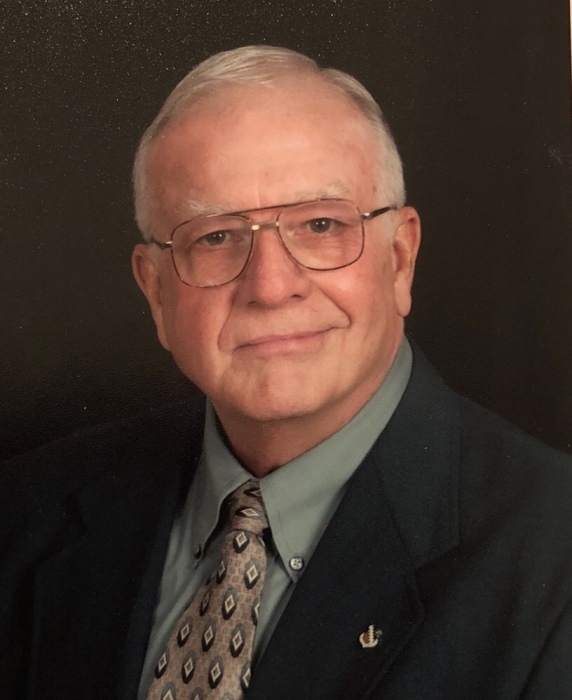 Joel H. Moore, 80, passed away February 5, 2019 in Naples, FL. Joel was born June 19, 1938, in Upland, IN, to Fred and Ann (Hale) Moore. He married Carole Seavers on July 26, 1959, at the Upland Methodist Church. She survives. Also surviving are two daughters and one son: Christy and Dave Winebrenner of Wawaka, IN; Julie and Larry Hughbanks of Leo, IN; David and Lisa Moore of Parker, CO. A brother, Fred Moore, of Chicago also survives as do six grandchildren and three great-grandchildren. He was preceded in death by his parents and one grandson. Joel was a graduate of Jefferson Twp. High School in Upland, IN, where he was active in sports. He received a B.S. and M.S. in education from Ball State. Later, he completed the Principal's Leadership Academy certificate. After college, Joel was stationed at Edwards Air Force Base in California, where he served as an officer in Field Maintenance. He proudly wore his flag lapel pin. Joel worked in the field of education for 29 years. He began his career as a high school teacher/baseball, basketball and track coach in Albion, IN, in 1966. In 1973, he became principal of Central Noble Middle School and retired from that position in 1995. After retiring, Joel and Carole spent winters in AZ and FL. They traveled extensively during their marriage in both the USA and internationally. Much of this travel was with their good friends, Harold and Charlotte Zawadzke. Joel had been an active member at Sugar Grove Church of God for the past 12 years. Prior to that, he had been a member of Asbury United Methodist Church for 40 years. Joel was a die-hard Cubs fan and a Purdue basketball fan (because several family members have graduated from Purdue University). He was also quite a fan of Mark Twain. He had a library of Twain books and could quote from them. He once said he would travel 200 miles to see Hal Holbrook impersonate Mark Twain. He had been a past member of the Kendallville Flying Club. He held a commercial flying license and enjoyed taking people for rides in the airplane. His family was his great love and legacy. A Celebration of Life service will be held at 3:00 pm on Saturday, February 23, 2019, at Harper Funeral Homes, Albion Chapel, 771 Trail Ridge Road, Albion. Pastor Tim Grable will officiate. Calling is on Saturday, February 23, 2019 from 11:00 am - 3:00 pm at the funeral home. Cremation will take place later. In lieu of flowers, preferred memorials are to the Noble County Community Foundation where they will become a part of the Jack and Maxine Frymier scholarship fund for a Central Noble student majoring in education. Checks should be made to the Noble County Community Foundation, 1599 Lincolnway S., Ligonier, IN 46767. To sign the online guestbook or leave a condolence, visit www.harperfuneralhomes.com.